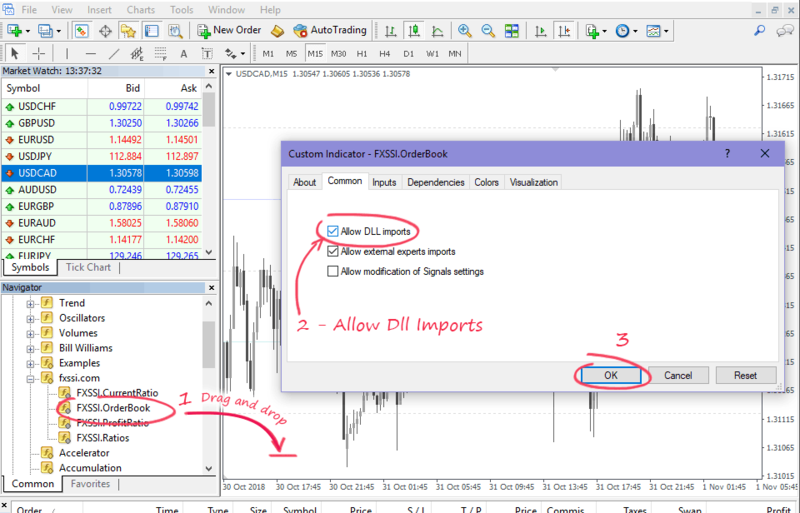 To install the “FXSSI Indicator Pack" correctly, please follow these instructions. If something went wrong during the installation, you can contact support. To do this, go to the page of any of the indicators and click the Download button. The file also has a DLL library, which is necessary for the operation of the indicators. 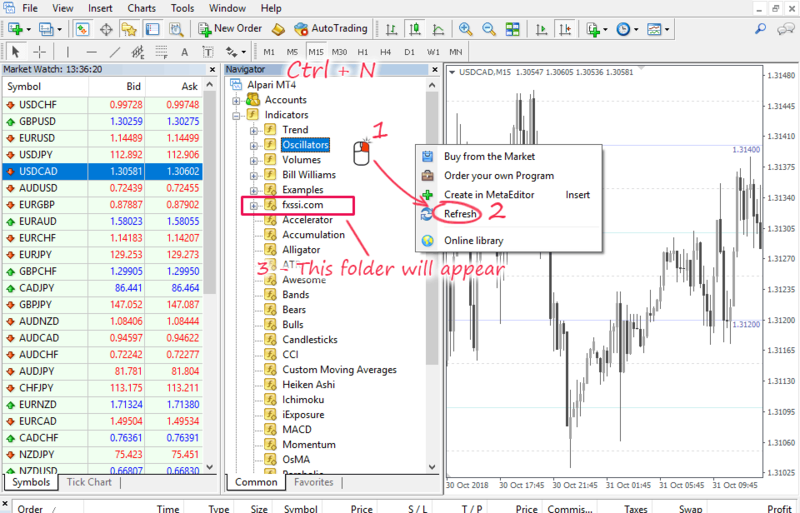 In your mt4 terminal press File -> Open Data Folder. A window will open with the working folders of the terminal. We are looking for the MQL4 folder. Make sure it's there and go to the next step. 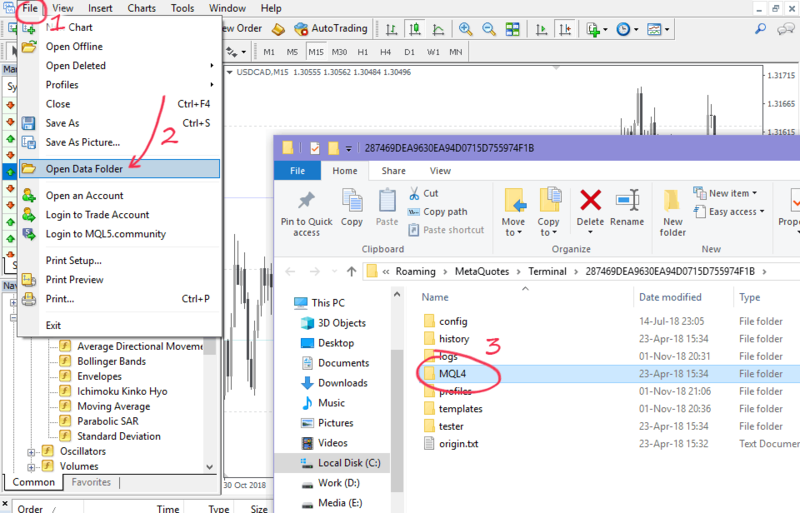 Open it and extract the contents to the MQL4 folder. If the system asks for “file replacement", click – Yes. Important. Please do not change the file name of the indicators, or their initial location, so that the auto update works correctly. After installation, in order for the indicators to appear in the Navigator window (ctrl + N to open Navigator), you must restart the terminal or press RMB – Refresh. 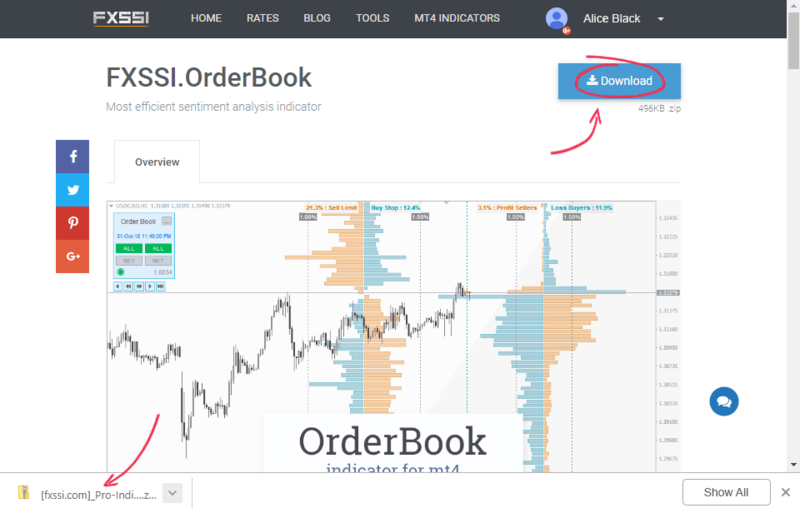 As a result, in the Navigator section “Indicators" you will see the folder – FXSSI.com, in which the indicators are located. Drag the indicator to the chart. In the window that shows up, go to the tab “Common" and put a mark in front of the “Allow Dll imports". The indicator should be displayed on the chart. If you receive the message “Invalid file path…" please go to step 3 and read the instructions carefully. You can also allow the default Dll import. To do this, press the key combination Ctrl + O and go to the Expert Advisors tab. There you will see the Allow Dll Imports item. Check the box and click OK.
For the indicators to work, you must go through the authorization procedure. 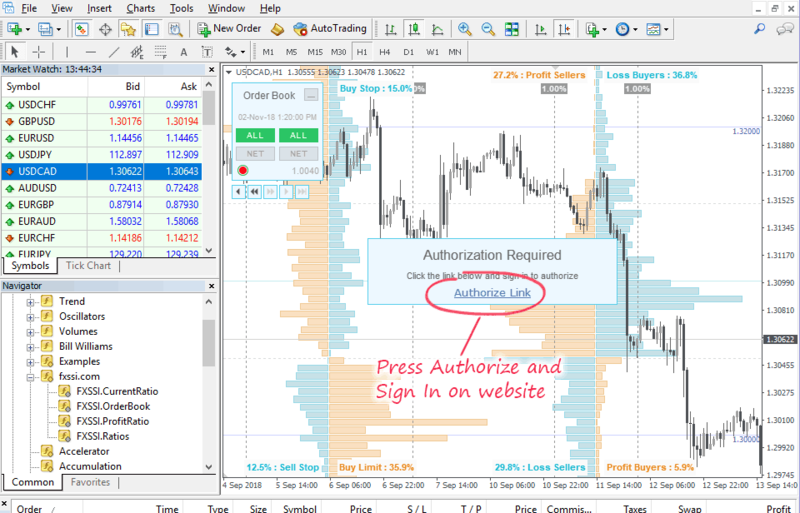 When you first start the indicator, you will see a window with an authorization link. After clicking on the link, you will be prompted to sign in your account. After login, your terminal will be attached to your account and the indicators will work. Why do we need a DLL for indicators to work? Our indicators are not like the indicators you are used to. They use server data to display information. In this sense, we need to connect to the server to receive data and this can be done only by using the dll library. Permission to use dll will not affect your current or future transactions. The indicators work on windows XP, but there are certain problems.